Image Size: 300 × 448. 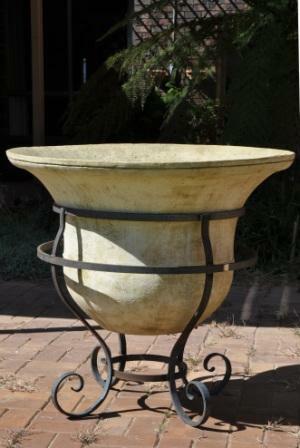 The wrought iron pot base for this bell pot comes in raw steel or painted black. Pot is available in French white or antiqued. The pot is great as a pond or a large planter.